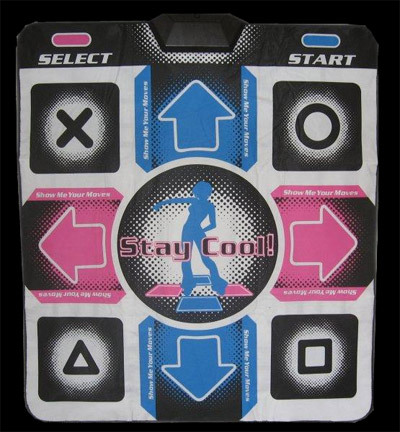 Better “DDR / Stepmania” Mat Controller I-PAC. Stepmania + Pads + I-PAC = solid response times! StepMania love coming at you! This is a quasi blog and guide on how we got our dance pads to work good with StepMania thanks to the I-PAC. Just keep in mind that my solution is not the cheapest in the world. We were going for a solid solution when I moved my pads from PC to PC. Lets take a tour of all of the different hardware we used and experiences that have occurred with it. A long time we got into Dance Dance Revolution and eventually Stepmania. We we not any good. The best attainable grade B’s and A’s on heavy’s when I was doing it non-stop for months at a time. 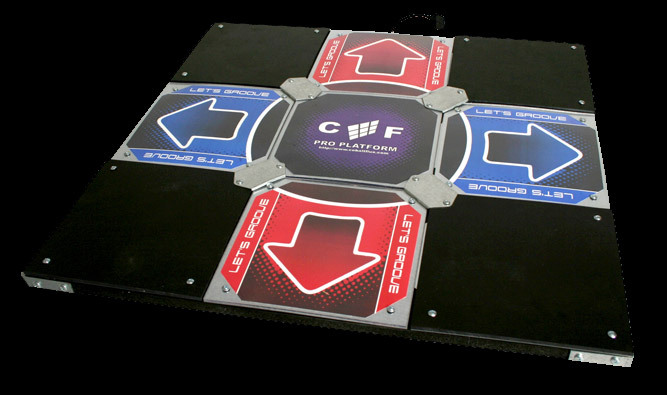 An upgrade was nessecary and we didn’t want MadCatz soft-mat or the ultra-crappy OEM dance mats. People were getting injured on these mats because the mat flew out from under you during a song twisting your ankle if you didn’t tape it down! Ouch! These mats can hold up to 250lbs of pressure! – China hard-mat Ebay seller. Turns out that a 70lbs child can max out the pad as it’s your weight times three would be the pressure of the pad. Needless to say, these pads only took a total of a few months of abuse and i had to open them repetitively because the aluminum tape was sticking to the sensor PCB. It was a giant waste of money and time. Getting bored withPS2 DDR it was time to hook the Cobalt flux Pads up to my PC. From the soft-mat days we had this adapter. It’s a PlayStation to PC adapter that China makes for anywhere from $5-$15 dollars. 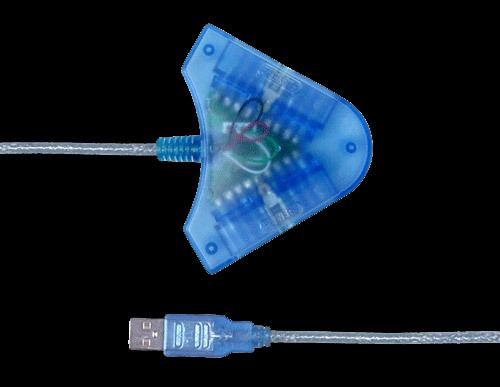 We first tested this adapter by hooking PlayStation controllers to there was no perceivable problems. However, the weird thing that was encountered depending on the USB chip-set is latency. On some chip-sets latency is virtually non-existent. On others however (mostly laptops) there was a quarter second lag. With the quarter second lag it’s enough to mess up just about any score in StepMania and as a result was not a consistent solution for game-play. Well! Mark this as strike two from china! Lets find the fastest converter in the world for my cobalt flux pads. going through some MAME forums I found this bad boy. 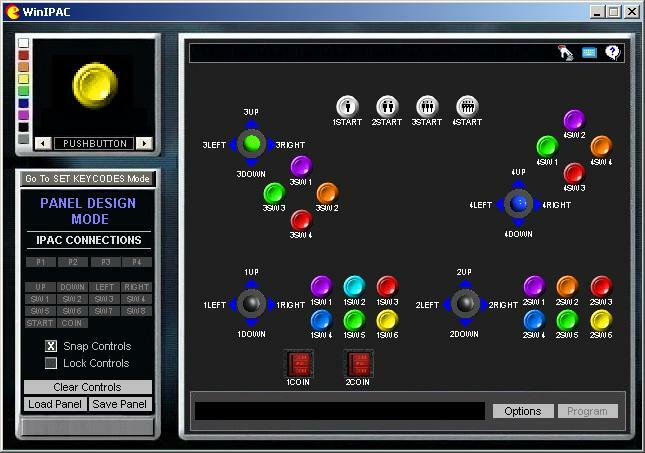 Enter the I-PAC controller (Website here) . The I-PAC is more then acceptable for the feeling of the hard-core gamer. Even though it emulates a keyboard via USB it has an interrupt per key instead of sharing of ‘ghosting’ the interrupts. This means you can hold all 32 keys down at the same time and they would register at the exact time as just pressing down one. My Cobalt Flux just has pin-outs with a common ground. Thus, I can bypass the OEM Cobalt Flux PlayStation controller brick and pipe all of the wiring right into this unit. The image pictured above is actually the I-PAC VE controller which is cheaper and had free shipping at the time I got it (around $32 US) and the only thing that separated this from the regular I-PAC is this one only had USB and this one resets it’s configuration to a default MAME mapping every-time you power it off (no problem I can re-configure the mapping in StepMania) So outside of lack of non-volatile memory according to Ultimarc the programming is incidental between the I-PAC and I-PAC VE. I-PAC states that the VE series is exactly like their original series in every way except for the non-volatile ram. The next order of business is an enclosure to put everything together in. It so happens in our inventory there is an ancient KVM switch that was purely mechanical. These types of KVM switches were stupidly dangerous! In respects that switching with a mechanical switch could blow up video cards and keyboards, which is why I never used the thing! So if I ripped it apart I wouldn’t feel overly bad about it. After about an hour of stripping wire and plugging everything in. We now Have my I-PAC VE controller inside of this KVM switch. The whole bottom is lined with electrical tape so that the I-PAC cannot ground out and then added some Velcro-tape to the base and the board so the I-PAC wouldn’t move around at all. As you can see, the green wires are soldered right onto the I-PAC VE board (Just to let you know this will totally void your warranty with Ultimarc!) where’s the Orange (Player 1 PAD) and Yellow (Player 2 PAD) are plugged into the sockets onto the I-PAC itself. Now you’ll Probably notice a few more connectors going on here. 4 DB9 Male connectors were added. Why you may ask? Well, out of sake of it being multi-functional I decided to mod this into almost a 4-player C=64 joystick adapter (Which is useful for Amiga Emulation when playing DynaBlasters). and made the holes that used to be for keyboards only with a Dremmel. The DB-9 connectors also serves as a selection box in the event I want to set one up. Instead it pressing those tiny buttons on the Cobalt Flux you can simply hit a plunger. It receives its data and power from the USB connector in the upper left (using a male to male A connector just to be obnoxious ) OR I can hook up via the PS/2 connectors and get data and power that way. I found this configuration gives maximum usage out of the hardware as well as making it easy to make MAME joysticks in the future. People were concerned if the length of the DB-15 connector would be a problem with the I-PAC. Actually the signal strength is -really- good even routing around a dance pad which on top of the 6 foot of VGA cable there’s another 6-10 feet of wire inside. This is the pinouts for a DB9 Facing you. It is noted that Pin 7 is usually +5v power, and thus you shouldn’t wire a mame or DDR pads to ever go to Pin7 Just in case you DO hook it up to a retro PC. The only reason why I hook to Pin7 is to get an extra button out of it for my 4 player setup for (start,select) buttons. However, If I wanted to hook up a retro-joystick such as an atari or an amiga joystick, pin7 is harmless. Also, Sega Genesis joysticks will have limited usage of it’s buttons because they used a shift register circutry to sort of ‘MUX’ more buttons down one line. In this wiring I added pins 13-15 to the wiring system, Allowing my to hook up MAME style joysticks if i so desire for fighting arcade games or whatever else I want. Also Note that R-Analog and L-Analog only reflect the buttons when you push down on the analog stick. the I-PAC controller is not capable of reading analog signal. Also when using this setup you will need some FULL VGA cables with all of the pins going from one side to the other. 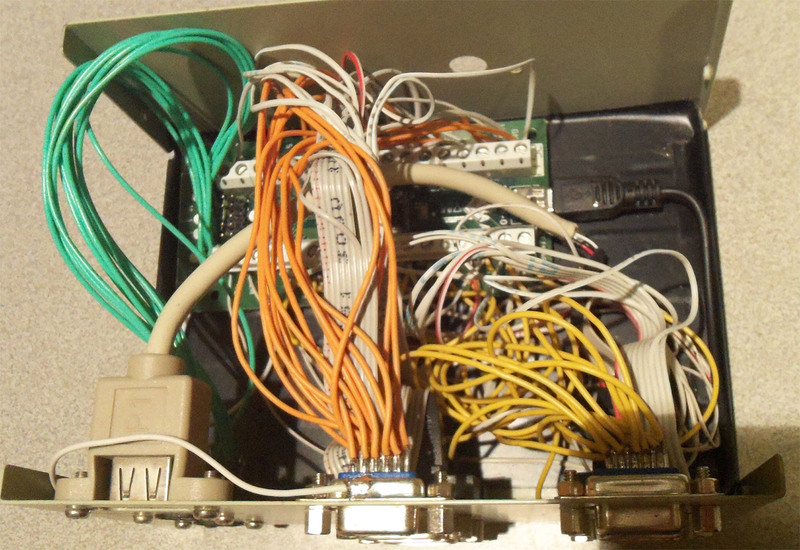 if the cable looks thin then chances are all of the ground pins are wired together in a VGA analog setup which case that will not work! To test this always perform a continuity check with your volt meter. The exact name that china originally sold these under is “tournament hard pad dance” Since we had one of these in our possession at one point we did find the old pin-out paperwork for those which still have one of these in an operational state. 8-Button China HardPad DB15 Pinout. This pad was a little more rare to find as there wasn’t much use for a 8-button DDR hard-pad. Since there was no center button you couldn’t even activate the center button for Pump-It-Up like the Cobalt flux pads could. Note: Ground appears twice because for reasons beyond explanation pins 2 and 4 go to ground pin 3 and everything else goes to ground pin 15. I just got some e-mails about the design of the Cobalt Flux and how there was actually two versions of my pad that was released. Version 1 Cobalt Flux pads supported a DB9 connector going to the controller and apparently only had 6 buttons (up,down,left,right,upperleft-corner, upperright-corner) I unfortunately do not have any info on how the DB9 connectors are setup on the Version 1 model of the Cobalt Flux pads. It most certainly does not follow the designed mentioned in my document and the ground pin maybe on pin 1 rather then pin 8 like how it is on Atari/C=64/Amiga joystick configurations. Reading through a lot of old DDR forums it appears a lot of the first generation Cobalt Flux V1 control boxes had a tendency of failing. Although the pad itself is perfectly fine either the wiring harness or control box simply stopped working on their Playstation 2. Since I do not know the pin-outs my best suggestion is to grab a volt meter and find the ground pin (If it is anything like the version 2 Cobalt Flux ground pin will be pin 1) map out your buttons and arrows, and simply adjust your DB9 connectors accordingly to a new control box such as a I-PAC series controller. If anyone has the pin-outs for the generation 1 cobalt flux pads which have a DB9 connector on them please contact me or reply to this blog and I’ll be sure to put it up for everyone to see. Check out version 2.0 of my DDR/Stepmania controller using RJ-45 hookups. This zero delay controller costs 80 percent less then the I-Pac and also works with our cobalt flux pads. Those with a foam Pump-it-Up or DDR mat for your original Xbox may want to look at this blog to keep dancing. On a side note I am able to test out all of my C=64 joysticks which I actually found out some of the copper wiring has failed on a lot of my 15+ year old sticks which I was able to see using the I-PAC diagnostics tool. The I-PAC controller is pricey. And with adapters for game consoles it can make it even more pricey (Almost $100 for just controller action) . To me the I-PAC is well worth it because if it’s solder-less connectors and rock solid diagnostics software. You could even spend a little more money to get past the ‘I-PAC-ve’ series and pre-program your keystrokes so you don’t have to reconfigure your keyboard commands in StepMania. Hope you have fun keeping alive your old gear and until then. Now I am working on it with DDR USB mat and Raspberry pi Stepmania. I have two kinds of mats. One of them is the same as yours the cheap one and the other is pump mat. Firstly, I have to connect the lines from the mat to the joystick encoder. Could you give me an advice, please? When it comes to all of the different hardpads and even softpads out there. the key is finding out what is your ground/common pin.. it will be something that all of your buttons on your DDR mat will share.. and with the mat unplugged from your computer using a multi-meter.. If you take apart two of the pads on your hard-mat and you get positive continuity between one side of your pad. That is Ground/Common. Then, you find that pin that all of your pads share..
As for soft-pads. it’s a little more difficult as many of them are stitched together resulting in only being able to access the PCB board area.. But it’s still possible to find ground/common with that multi-meter and from there re-wire your pads. Good luck on the Raspberry Pi Stepmania build. the last we checked that repo it’s playable but there was some sound issues. 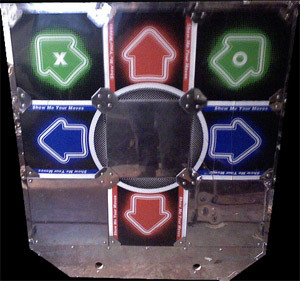 I just got some arcade ddr pads. I’m going to give it a go at hooking them up to a pc. Wish me luck. That’s awesome what you did there. I am just wondering where you got the KVM switch. I haven’t been able to find a 2-computer KVM switch like that anywhere that supports VGA AND PS/2! I found it at some swap meet a long time ago for a few bucks. They also pop up Ebay from time to time for around 5-8 bucks which is a lot better then paying for all of the DB15 and PS/2 connectors individually. Just do a search for “4 port kvm switch ps/2”. Since the beige ones are old (mid 90’s) it may take a while for someone to put one up there.